To mark what would have been the 70th birthday of the late John Lennon Yoko Ono, EMI Music and the Lennon Estate are to embark on what can only be described as a huge re-issue and release program – starting on October 4, 2010. Called the “Gimme Some Truth” campaign, it will comprise a series of Lennon albums remastered from the original mixes as well as new collections compiled for CD and digital download release. One of the new releases will be a “naked” version of the Grammy Award winning album “Double Fantasy” – made available for the first time in a newly remixed, stripped down version produced by Yoko Ono and Jack Douglas, co-producers of the original album with Lennon. The new version will come in an expanded 2 CD edition which will include with the original mix, remastered. The albums have been digitally remastered from their original mixes by Ono and a team of engineers led by Allan Rouse at EMI Music’s Abbey Road Studios in London, and by George Marino at Avatar Studios in New York. All of the remastered titles will be packaged in digisleeves with replicated original album art and booklets with photos and new liner notes by noted British music journalist Paul Du Noyer. 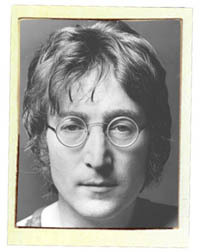 The “John Lennon Signature Box” is a deluxe 11 CD and digital collection of the eight remastered albums, a disc of rare and previously unreleased recordings, and an EP of Lennon’s non-album singles. The CDs will be housed in digisleeves within a deluxe box including a collectible limited edition John Lennon art print and a hardbound book featuring rare photos, artwork, collages, poetry, and new liner notes by DeCurtis. 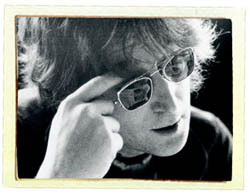 Check out johnlennon.com for more info, official announcements and updates as the release dates for these new John Lennon collectables draws closer. This entry was posted in Beatles, Beatles Collecting, Beatles Music, Beatles Related, John Lennon, Plastic Ono Band, Yoko Ono and tagged Apple Records, Beatles, Beatles Collecting, Beatles Related, Gimme Some Truth re-issues, John Lennon, Plastic Ono Band, Rare Beatles, Yoko Ono by beatlesblogger. Bookmark the permalink.